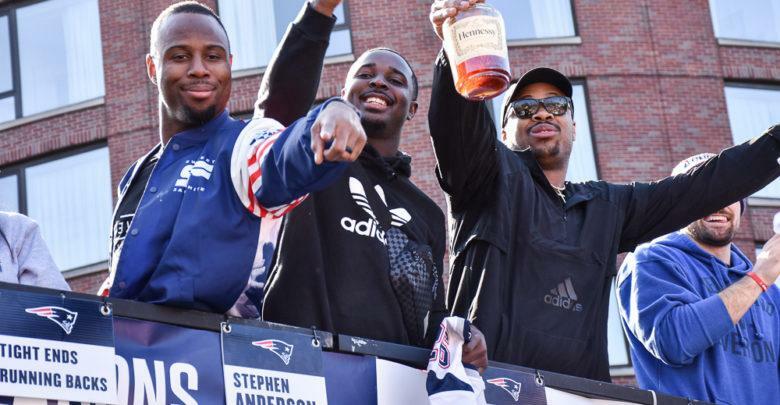 Bostonians lined the streets downtown on Feb. 5 to celebrate the New England Patriots’ sixth Super Bowl victory with a parade. 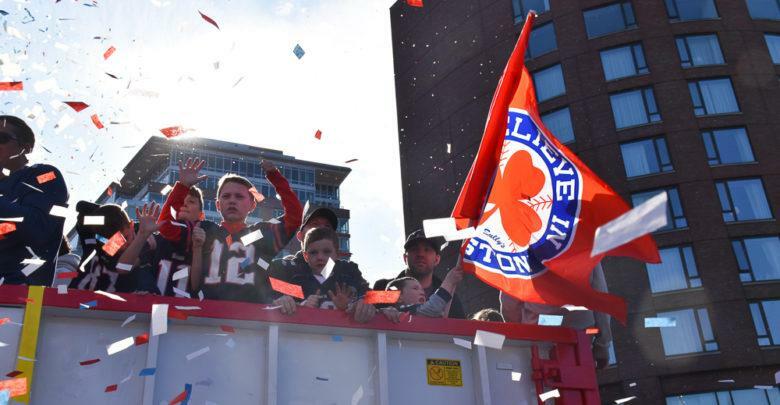 The parade began at 11 a.m. at the Hynes Convention Center and ended around 1 p.m. on Cambridge St. in front of Boston’s City Hall. 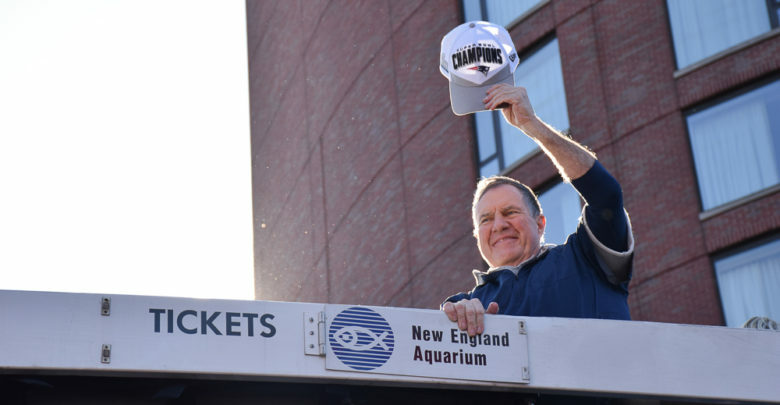 The celebration commemorated the Patriots’ 13-3 win against the Los Angeles Rams in Super Bowl LIII on Sunday. 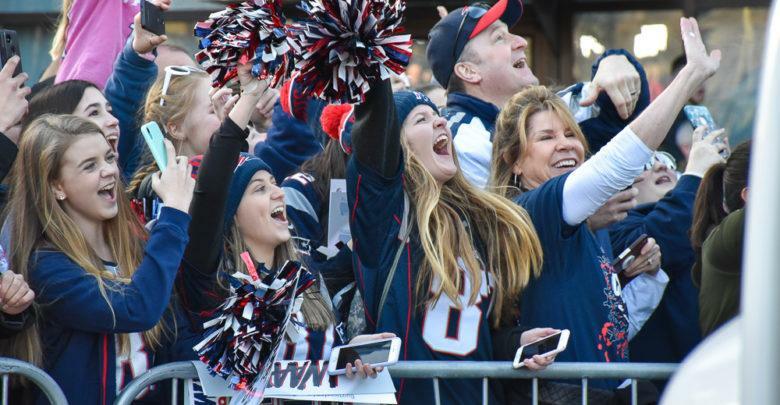 The Boston Police Department estimated that 1.5 million fans attended the parade. 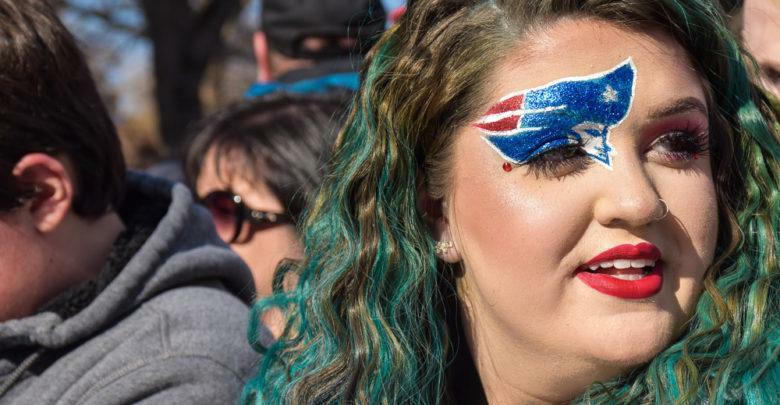 Emerson students sporting the Patriots’ colors—red, white and blue—were on the street at approximately 9:30 a.m. Around noon, as people threw footballs across the road to each other and cheered, confetti began to fill the sky. 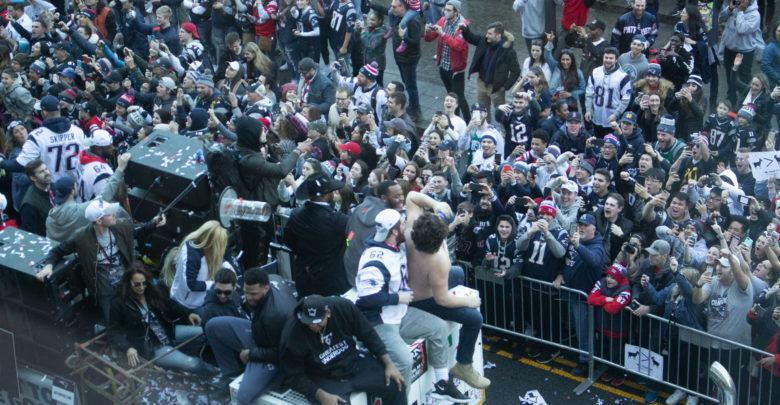 Shortly after, the first of 25 Duck Boats made an appearance in front of the college on Boylston Street. 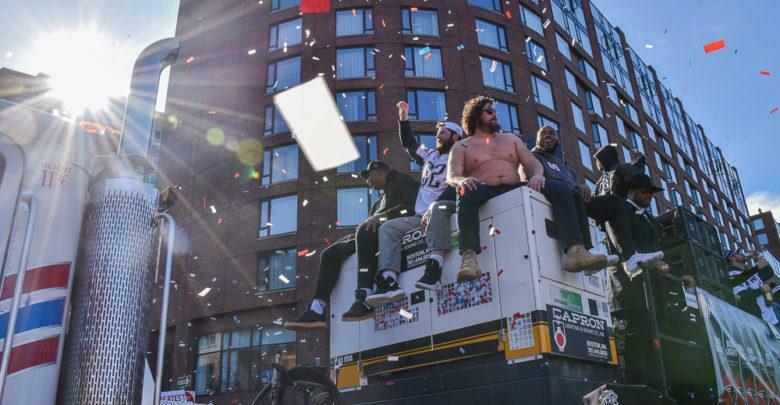 Freshman Bryan Simmons-Hayes said he has attended only two championship parades, including this one, even though he’s lived in Massachusetts his whole life. 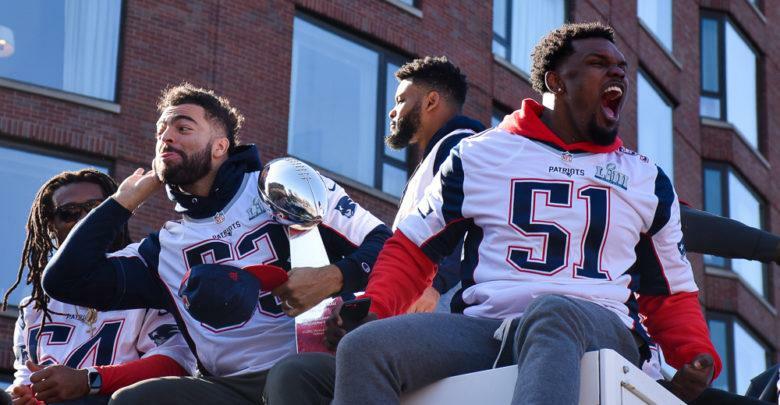 As Patriots players rode by in Duck Boats, students waved signs and took photos from opened dorm room windows in the Colonial and Piano Row residence halls. The Emerson College Police Department enforced a lockdown on all campus buildings—citing safety precautions—and required students to tap their Emerson IDs for entry. ECPD officers also guarded building doors and posted signs indicating the college does not have public restrooms. 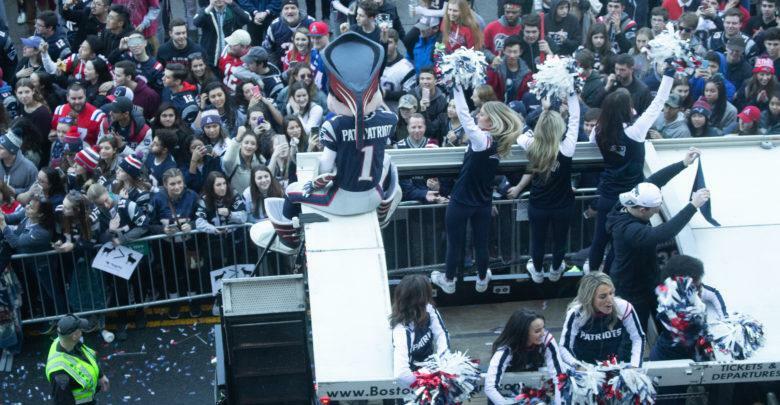 ECPD Chief Robert Smith wrote in an email sent to the Emerson community that pedestrian traffic on the Boylston Street sidewalk returned to normal levels at around 12:45 p.m. ECPD unlocked building doors at 1:15 p.m.
ECPD Deputy Chief Eric Schiazza said in an interview this year’s parade was one of the largest he’s witnessed since working at the school. 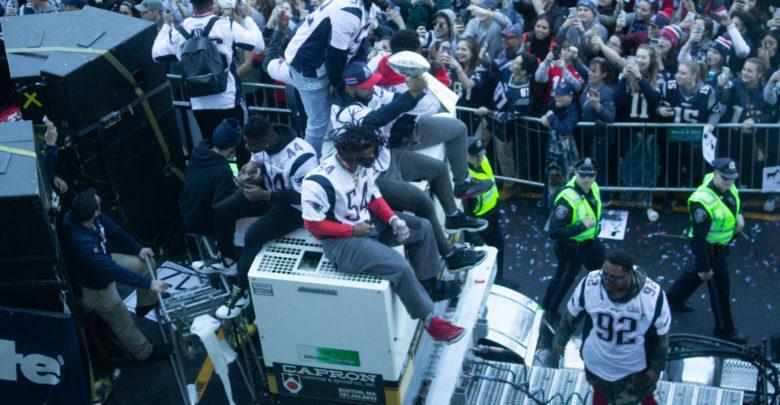 Schiazza said for this parade, ECPD bought radio earpieces for the officers to communicate because the noise of the parade made it difficult to hear transmissions. 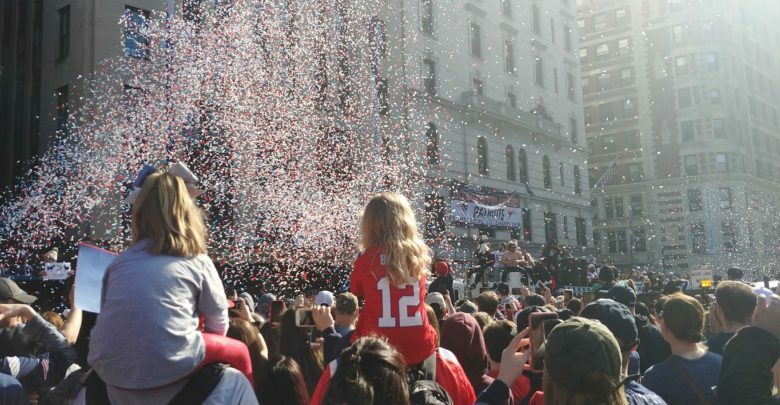 Freshman Owen Conti said he was struck by the difference in experiences between the Red Sox parade in October and this one.